Through hard work and perseverance, Mike Ness is a bona fide rock star. It is also a scientific fact that the first Social Distortion album, Mommy’s Little Monster, is one of the greatest punk rock albums of all time. Social Distortion, and Mike Ness, have become a rock institution for over thirty years now despite numerous lineup changes and the evolving of the band’s sound. The one constant and only remaining founding member has been Mike Ness. He has a distinct singing voice you can recognize anywhere and is quite an accomplished guitar player and songwriter. I will admit that back in 1999 when Mike Ness released his two solo albums, I dismissed them as not being “punk rock enough”. While I was less closed-minded back then as when I was even younger, I still hadn’t opened up my mind enough to give a pair of records that were basically country/blues/bluegrass records the time of day. Yes, those styles of music had been slowly permeating in the later Social Distortion albums of the time, but not to the degree that Cheating At Solitaire and Under The Influences exhibited, which was basically Mike Ness minus the punk rock stylings. Younger me was an idiot as I’d basically ignored a couple of really good records without giving them a fair shake. 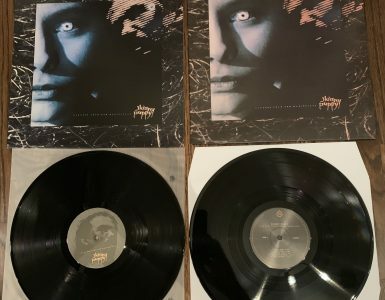 When I finally wised up and decided I should own these records, on vinyl of course because that is the only format that matters, I had discovered that they had been long out of print and fetching a lot of money on the secondary market. While I would have liked them in my collection, I was unwilling to drop the kind of money they were fetching on eBay and just resigned to not having them. Well that problem has been solved for me as thanks to Craft Recordings, both Mike Ness solo albums are once again available on vinyl! No breaking the bank just to have these on the correct format! Cheating at Solitaire was Mike’s first solo album and it was a pretty ambitious début. It was a double album containing sixteen songs fusing country, blues, bluegrass, rockabilly, and rock with Mike’s trademark crooning. There’s plenty of acoustic and electric guitars, slide guitar, sax and more on these songs. Ness enlisted the aid of some pretty big guns to make guest appearances on this album including Brian Setzer, Billy Zoom, and Bruce Springsteen! 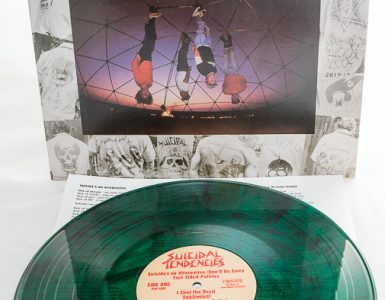 The album comes in a full color gatefold sleeve with lyrics and photos inside the gatefold. The albums are on standard weight black vinyl. The sound quality on this reissue is top-notch. The mastering job was really well done. If you had to pick only one of these two albums to own, this is definitely the one to get. Under The Influence was released later the same year and was a single LP. 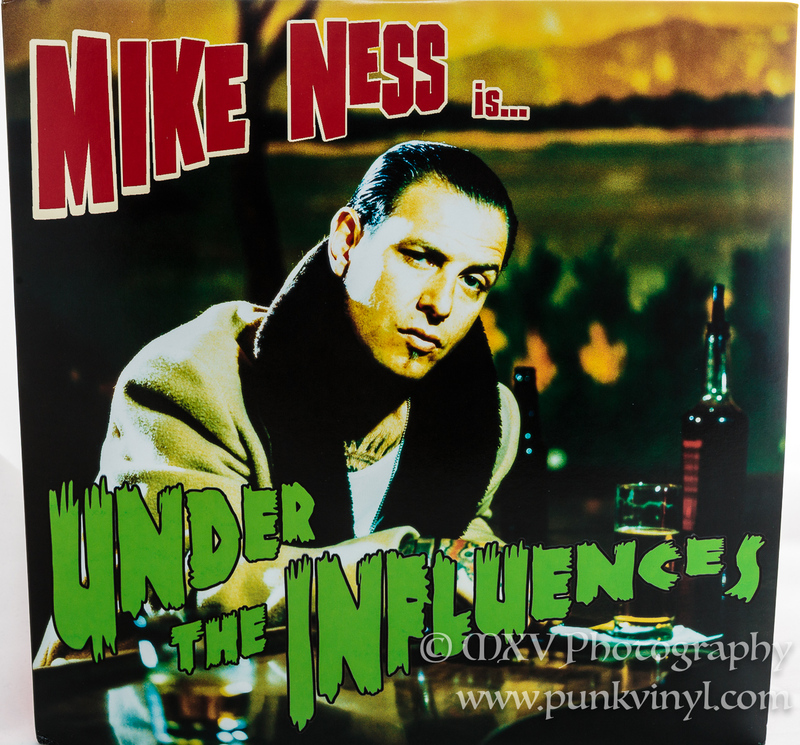 The album, with the exception of the last song, is made up of all cover songs of various rock, country, and bluegrass songs that influenced Mike Ness (hence the title). According to lore, this was the stuff that Ness grew up on before discovering punk rock. The last song on the album is the only original, and that is a honky-tonk version of the Social Distortion hit single, “Ball and Chain”. While this album isn’t as essential as Cheating at Solitaire, it is still a pretty good cover album and it is cool to see Ness do a take on the music that helped shape his musical career. 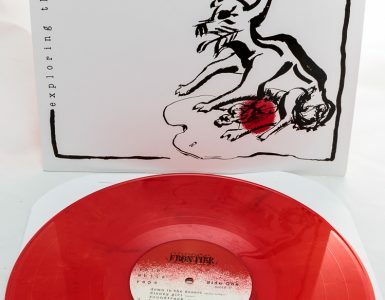 This is a single LP on black vinyl that comes in a standard full color jacket. There is no insert or lyric sheet. Much like the other album, the mastering job was very well done resulting in an excellent sounding reissue. These Mike Ness reissues were way overdue and it is really nice that you can now get these records for regular price once again for the first time in close to two decades. If you were like me and ignored these the first time around, don’t make the same mistake twice. Any Social Distortion fan that likes anything after the first album will find a lot to like in these solo albums.